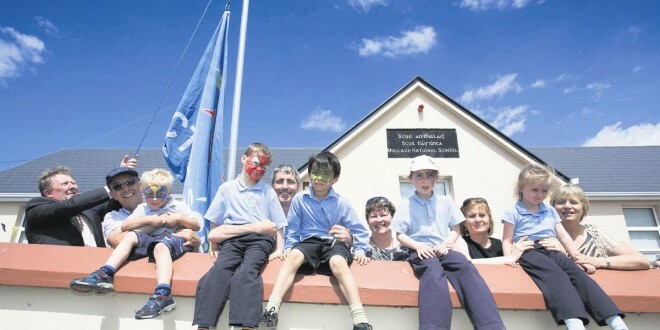 Helping INTO president, Sean McMahon, raise the flag at Mullagh National School were, from left, James Egan, Cillian Nestor,Juniors, Aidan Punch, Seniors, Adrian Frawley, Leighton Kelly, 2nd, Connie Sexton, Zoe Corry, juniors, Genevieve Pender, Ami O'loughlin-Ball, juniors and school principal, Geraldine McMahon. Photograph by Arthur Ellis. Mullagh National School pupils are winning the obesity battle, thanks to the use of state-of-the-art facilities, as part of its commitment to lead an active, healthy lifestyle. That’s according to INTO president, Seán McMahon, who returned to his own school to raise the Active Schools’ Flag in his first official function since becoming president. Mr McMahon described this national education programme as one of the most important initiatives currently available to schools, particularly in the context of statistics indicating that over 100,000 Irish pupils are considered to be obese. Speaking at a recent Early Childhood Ireland Conference, Dr Catherine Woods revealed that research indicates only 19% of children are meeting their recommended daily level of exercise. Even more frightening is the trend towards obesity within the overall Irish population, with forecasts of 50% being obese by 2020. While the INTO regularly call on the government to provide additional physical education funding, Mr McMahon said Mullagh National School is way ahead in terms of this provision, with a state-of-the art general purpose room and excellent playground facilities, including a ball court and astro turf all-weather pitch. Pupils are also fortunate to have access to a modern facility within the village, incorporating a running track, football pitch, playground, outdoor gym and changing rooms. Stating that facilities on their own don’t resolve issues, Mr McMahon said the involvement of teachers, board of management, sports enthusiastics and pupils is critical to turn the “dream of a healthy future into a reality”. At the start of the current school year, Mullagh School staff, board of management and pupils decided to adopt the initiative as an integral part of education provision. Under the stewardship of Active School Flag (ASF) co-ordinator, Connie Sexton, an SSF committee was established involving management, teachers, non-teaching staff members, pupils, parents and members of the community. School principal, Gerardine McMahon, complimented everyone involved in the ASF committee, James Sexton of Kilmurry Ibrickane-North Clare Athletics Club and Kilmurry Ibrickane GAA Club, for their willingness to successfully pursue this initiative. “The ASF can only be awarded to primary schools that provide one hour weekly timetabled physical education for all pupils, as a minimum. Central to the process is National Active School Week, which normally takes place in May/June. “I believe pupils in Mullagh thoroughly enjoyed this week. Schools are encouraged to involve pupils, parents, support agencies and the local community to make Active School Week a whole-school event, where all members of the school community are encouraged to become more active,” she said. 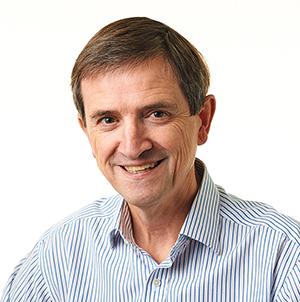 Having acknowledged Mr McMahon’s contribution to education at local and national level, local sports coach, Pat O’Dwyer, noted the vision of all the participants in ASF is yielding results in terms of the young physical education “experts” who are attending the school. As he formally raised the flag, Mr McMahon congratulated the pupils for their involvement in this project and concluded with the well-known phrase, “a healthy mind and a healthy body”.